To say we were excited was an understatement, we love to work with something nostalgic from our childhood. Quite often we send out a set of printable birthday party decor to a customer, customized and read y to go for their special event, but we never hear back on how it went. We would love to receive photos and information regarding the products we sell. We want to be sure that everything has worked out well and that you are satisfied! This party however, was for a special little man named Lachlan. His mother Elesha contacted us about the printables on Etsy, very excited to make it a grand affair and fun for all ages. We think it turned our spectacular and are sure the kids had an amazing time! Here are all the party details as told by Lachlans’s mom, Elesha! 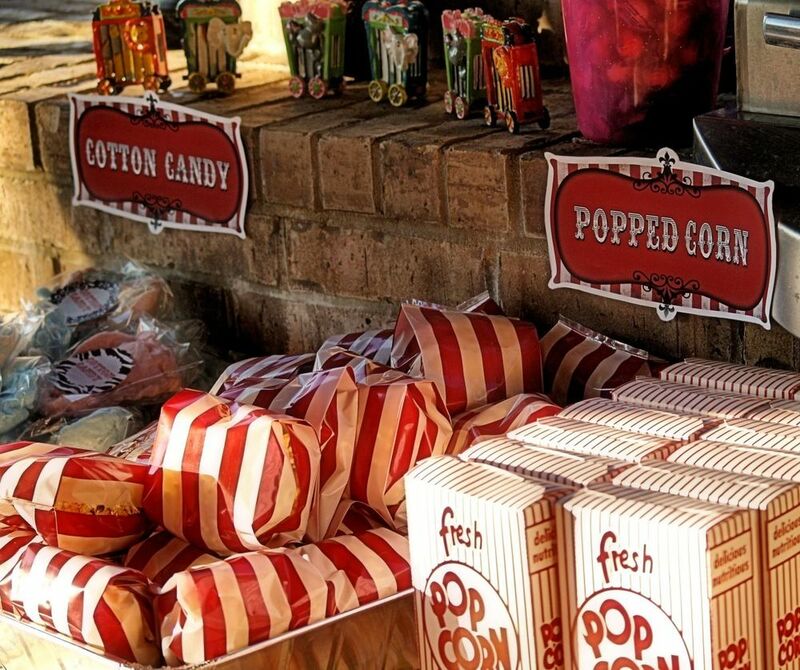 The popcorn stripey bags, clear cotton candy bags and tissue paper were from Hobby Lobby. We made the coloring books. Party Favors and the crayons came from Target. I made the balloon wreath and covered the “5” with glitter, the 5 came from Hobby Lobby. 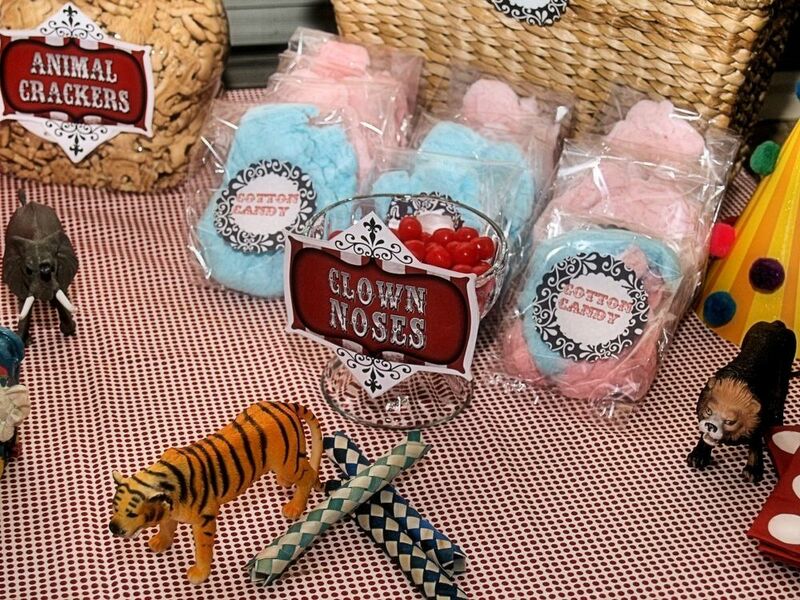 If you are interested in purchasing this printable decor for your Vintage Circus or Vintage Carnival party we would love for you to visit our shop right here! And be sure to come back and show us some pictures! 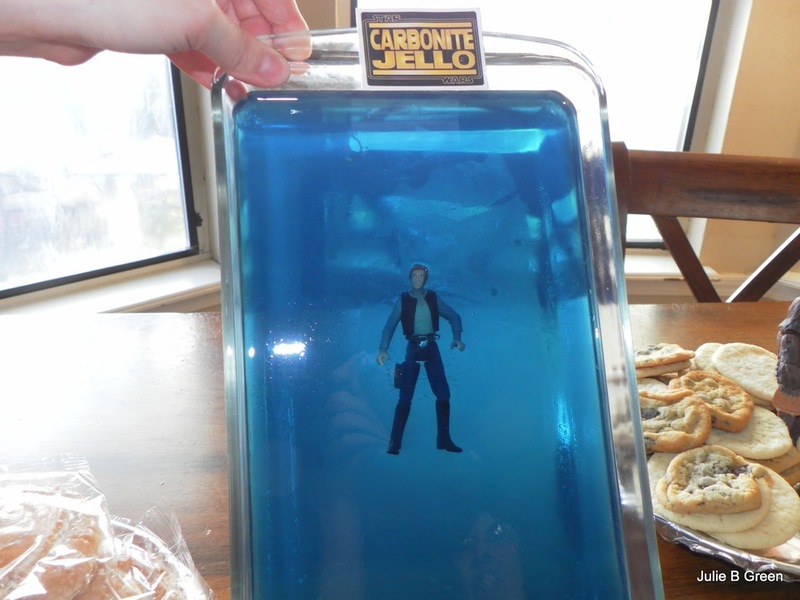 Han Solo in Carbonite “Jello” featuring our Star Wars food tag design. A couple of weeks ago we sponsored a giveaway where we gave our readers the option to enter for a chance to win any party we currently sell in our Etsy shop! Julie was one of our lucky winners and she chose our most popular party to date: Star Wars. 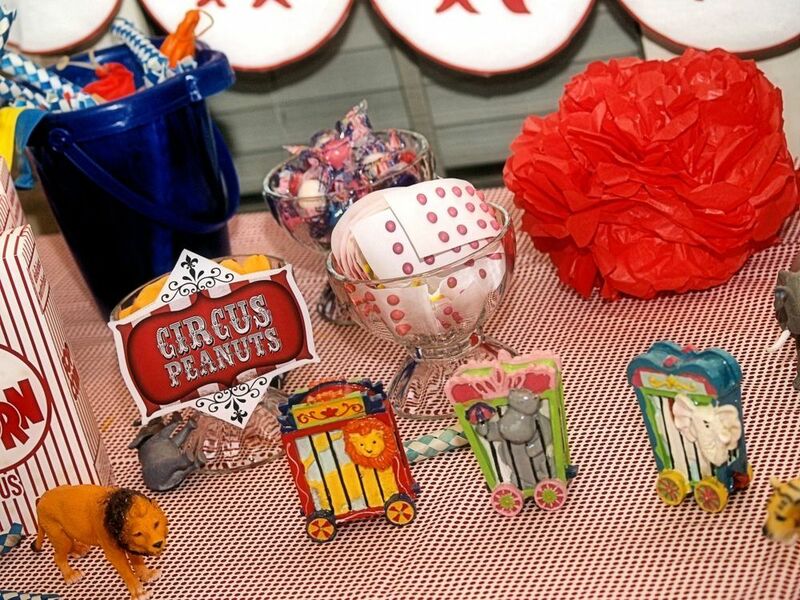 We customized the set of printables with her party details and menu and sent them on their way. Now usually, we don’t ever hear back after this point. We are kind of used to this, no news is good news or so they say…but Julie was kind enough to let us know that her party was a huge success and even wrote a post on her own blog about it. We love hearing back from our customers and contest winners! We wanted to share with you some of Julie’s own party photos and what she had to say about how everything worked out for her son Ethan’s birthday! It was rowdy and tons of fun. Don’t ever underestimate the power of a light saber in the hands of my girls. They are a force to be reckoned with and I don’t think any of the boys were prepared for their wrath and skill level. 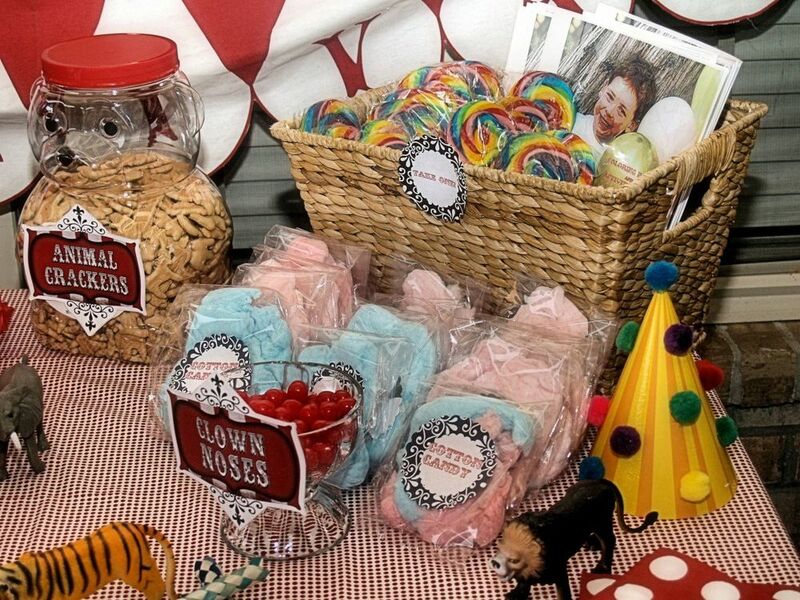 I was incredibly lucky to win a complete party printable set from Hello My Sweet. If it wasn’t for Ethan having a Star Wars theme I would have chosen some really chic party and heck had a party for myself with one of their other amazing products like this Pink Vintage Parisian Romance or this Woodland Acorn Party, sigh. But their Star Wars printable set was so much fun and it really made the party! Smores Cupcakes using our Star Wars toppers and wraps. I got a ton of ideas from Just Jenn Recipes. Seriously her Ultimate Star Wars Party was Jedi-tastic, really true genius! Her recipes look delicious as well. Girl can cook! I had nothing planned as far as games or activities. I simply set them loose with homemade light sabers until it was time for Han Burgers, Smores Troopers (smore style cupcakes, yum!) and Yoda Soda. The biggest hit was the Thermal Detonators aka Whoppers. They had so much fun eating them before they were deactivated and blowing themselves up. Boys will be boys. 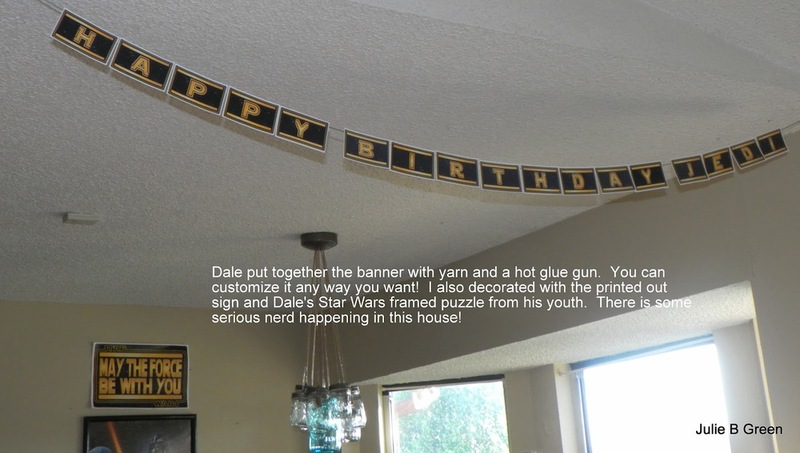 Birthday Banner and Large Decor sign from our Star Wars printable collection. Have you purchased or won a party from us? We would LOVE to see photos and feature you on our blog! Email us at: hmscupcake@gmail.com and tell us all about it along with a zipped attachment with your party photos! 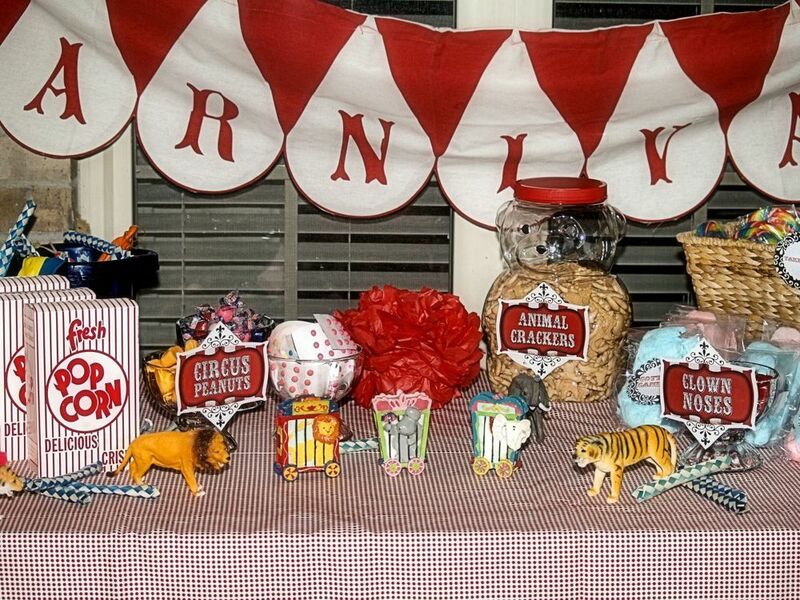 If you are interested in having a party like this you can find our printable collection in our Etsy shop. The collection includes text customization for your printables to ensure that each detail of your party matches.